While Ample was in the process of launching the Scripps website earlier this year — we began speaking with the Foundation about revamping their site as well. They are a great organization that delivers on a promise to the communities in which Scripps operates — to build and improve the quality of life. The site they had was in need of a total overhaul that would give them responsive functionality and clear organization of content. Adam worked especially closely with their team to find a balance in design and functionality. He pushed their branding forward under the umbrella of Scripps — but with a unique feel that fit well with their needs and mission. 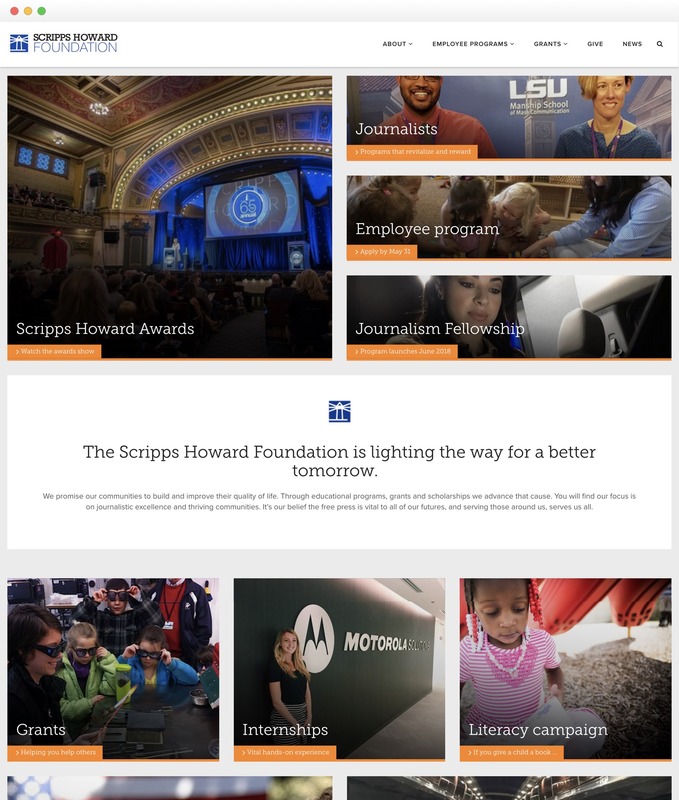 Scripps Howard Foundation offers so many programs, grants and scholarships, to so many different groups, that deciphering the format and navigational structure to accommodate them was a huge undertaking. The resulting site is a wonderful example of simplifying the complex through careful planning and meaningful design.